If you’re looking for a single source provider to design and remodel a kitchen, bathroom or basement look no further. Our company does it all from design, product selection, ordering and installation. We have the experience and reputation to build the perfect kitchen space for you. 781-665-3269 or fill out the contact us form and we will call you. With the ages of homes in Melrose, MA and the surrounding area kitchen remodeling is one of the most popular rooms to remodel. The kitchen is, by far, the most important room in the house. It is the hub of most family interaction and entertainment and the design of the kitchen should thus reflect the unique lifestyle. Whether one is planning for a new kitchen, or redesigning a kitchen remodeling an old one, the style is important not only to the immediate user but also to possible future users, such as growing children, aging parents or the next homeowner. There are so many ways to approach the redesign for any kitchen remodeling job, but first and foremost one should take the time to learn and appreciate one’s own design desires and preferences. The design style of a space is much more important in today’s changing environment as more time is being spent at home cooking meals, entertaining friends and spending time with family or maintaining the character of the home weather its a Victorian era home in Melrose, MA or a ranch style home in Stoneham, MA. 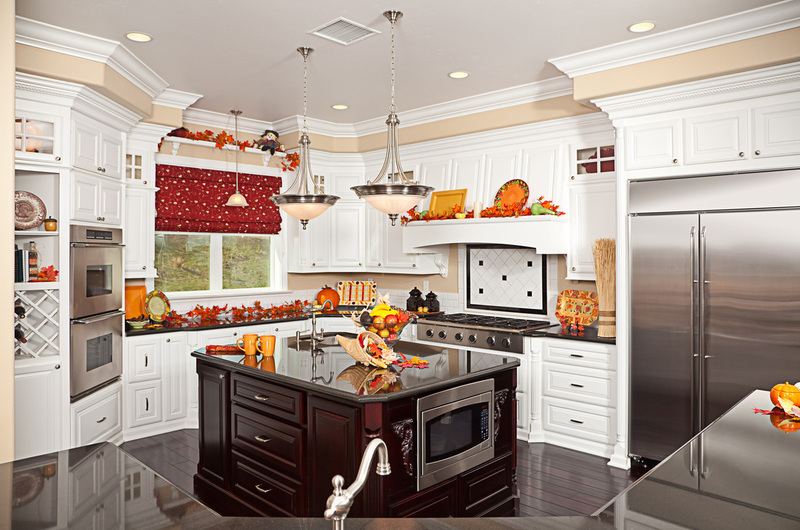 Each kitchen remodeling should reflect the type of individual and family, as well as the style of the rest of the home. Discovering this style can seem stressful to most, mainly because most are worried they will make the wrong decision and be stuck with that cabinetry style, tile color or drawer pull forever. The key is finding the balance between careful consideration and hasty decision making. Creating a file of designs of kitchens and styles one finds in magazines and advertisements is an important first step in this process. The internet is probably the best resource for this. Reading blogs, watching design videos and joining social networking groups of kitchen and design enthusiasts create connections with other design experts of which one can ask questions, look to for advice and learn about the industry. From this wealth of knowledge one can start deciding. One should keep a sort of a log book of this data, imagery and advice and begin to connect the similar pieces that one likes the most. Considering the personality and preferences of the primary users of the space is important to the planning of a successful kitchen remodeling job for your Melrose, MA home. Creating a space that reflects the design style and functional needs of family members spending much of their time in the kitchen will ensure minimal adjustments at a later date. For example, major decisions, such as cabinetry finish and style, should be taken into serious consideration first, as these are things that are the most expensive to change in the future. More unique personalities can really shine through on other applications that are relatively inexpensive yet ever-changeable. For instance, a favorite color choice for the walls, using unique materials for the backsplash or an inventive choice of drawer pulls are ways to create a custom, fun experience quickly and at minimal cost. As kitchen remodelers we at Glenn Crowell Construction have the experience to make your Melrose home the envy of all your friends and neighbors. Contact as today at 781-665-3269 or fill out this contact form and we will call you. For your Melrose, MA kitchen remodeling or other home remodeling projects call Glenn Crowell at (781) 665-3269!